Home › Culture › When things don’t fit: Why Story Matters. And narratives matter. Nothing is more central to journalistic practice than the telling of stories. Stories are how we capture, comprehend, explain and deliver the news. Without stories, we would be wandering lost across the landscape of events and sensations. We need a narrative, or we have no organizing idea. This imperative applies not only to each days events, but to the broader sweep of occurrences in succession. We need a narrative for each week, each month and each fiscal year. We need a narrative for every electoral cycle.And once we have established such a narrative, everything is under control. Everything, that is, except whatever fails to fit the narrative. 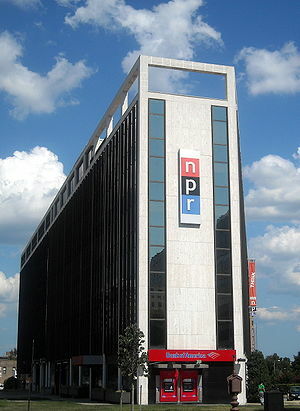 via Good TARP News Doesnt Fit; Media Are Flumoxed : Its All Politics : NPR. When we here narrative, or story, we think fiction. Maybe fairy tales. But story, narrative, matters in much more significant ways. It is the thing that allows the trajectory of our lives to be plotted in some meaningful, purposeful way. If I am the central actor in my story, how does the good of others play in to it? If I define the main organizing ideas to my life, how do I objectively evaluate what is good, beautiful, and true? How do I work for the good of others when it falls outside the scope of my limited knowledge? What do I do when things fail to fit the narrative that I have constructed? lens of the Bible, and the Gospel of Jesus. The problem is, many who are reading this are nodding their heads at that statement while at the same time importing so many things that have become “part and parcel” with the gospel of late, many due to a collapsing evangelical subculture of “Christendom”. Indeed, many who would call themselves “evangelical” have had their narratives shaped as well, but those narratives have been shaped by nationalism, patriotism, militarism, evangelicalism, and a host of other “-isms” that have become directly associated with what the Scriptures actually taught. So, what then is the narrative? What then is the story? The narrative is God’s redemptive work. The story is his, the authorship is his, the central player is himself, and the central message belongs to him. But that may mean that we have to allow our stories to be re-scripted. And that may take recognizing that central ideas and guiding philosophies have to go. And that will require something that only the Spirit can provide. Grace and faith. ‹ Week 35 today… No news? Good news.